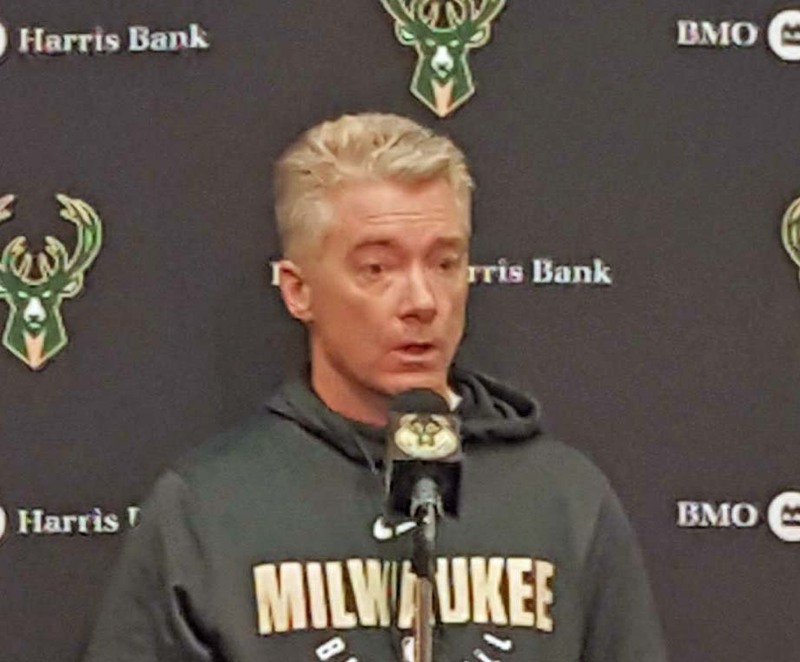 The Milwaukee Bucks haven’t lost a single game since Joe Prunty took over the coaching reigns on an interim basis after Jason Kidd was fired. The Bucks won their fourth straight Monday night with a 107-95 win over the Philadelphia 76ers. Another slow start for the Bucks, but they got things rolling in the third quarter and took the lead for good. The 76ers played without their all-star center Joel Embiid. Giannis Antetokounmpo had 31 points and 18 rebounds to lead the Bucks in the victory. Khris Middleton, who was named the Eastern Conference Player of the Week, added 19 points, seven rebounds and six assists. Philadelphia scored 60 of its 95 points in the paint, but finished 2 of 26 from three-point range in the loss. The Bucks hit 11 of 28 from distance. Matthew Dellavedova hit a pair in the fourth quarter, where he scored all 10 of his points. Dellavedova got more opportunity late after Eric Bledsoe played just 2 1/2 minutes before sitting to rest a sore left ankle. The Bucks return to action on Wednesday night against the Minnesota Timberwolves at the Target Center. In the last meeting between the two, the Bucks came from 20 down in the second half to pull out a 1022-96 win at the Bradley Center. 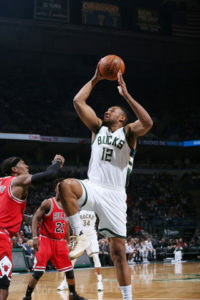 During last nights game, Bucks forward Jabari Parker announced that he will return to the lineup Friday night when the Bucks host the New York Knicks at the Bradley Center. Parker was cleared for action after rehabbing a second torn anterior cruciate ligament in his left knee last February (Feb. 8, 2017). Parker was averaging 20.1 points, 6.2 rebounds and 2.8 assists a game when he went down with the injury last season. The Milwaukee Bucks knocked off the rival Chicago Bulls 110-96 on Sunday in Chicago, which means Joe Prunty is off to a 3-0 start as the Interim Head Coach of the Bucks. Prunty shoots for his fourth straight victory tonight when the Bucks host the Philadelphia 76ers at the BMO Harris Bradley Center. The Bucks got off to a slow start on Sunday , but veteran Jason Terry came off the bench to add three straight three-point baskets late in the first quarter into the second quarter. He finished 4-of-6 beyond the arc for a season-high 12 points. Terry entered the game just 2-of-18 from three-point range on the season. From that point, the Bucks increased their lead and went into the locker room at halftime with a 61-42 lead. Giannis Antetokounmpo got hot in the second half and finished with 27 points, nine rebounds and eight assists to lead the Bucks. The Bucks played their second straight game without Malcolm Brogdon, who is sidelined with right calf soreness. Rookie Sterling Brown, who grew up just a short drive from the United Center, had 12 points and six rebounds. The Bucks lost at Philadelphia on Jan. 20, 116-94 when they were without both Giannis Antetokounmpo and Malcolm Brogdon. The Milwaukee Bucks announced that Joe Prunty would serve as the team’s interim head coach for the remainder of the season after firing Jason Kidd on Monday. In his first game as interim head coach, Prunty led the Bucks to a 109-105 win over the Phoenix Suns at the BMO Harris Bradley Center. Playing without all-star forward Giannis Antetokounmpo, who is resting his sore right knee, the Bucks got 35 points from Khris Middleton and a career high 32 points from Malcolm Brogdon as the Bucks improved to 24-22 on the season. They’ll have Antetokounmpo back for their next game, against the Brooklyn Nets at the Bradley Center on Friday night. 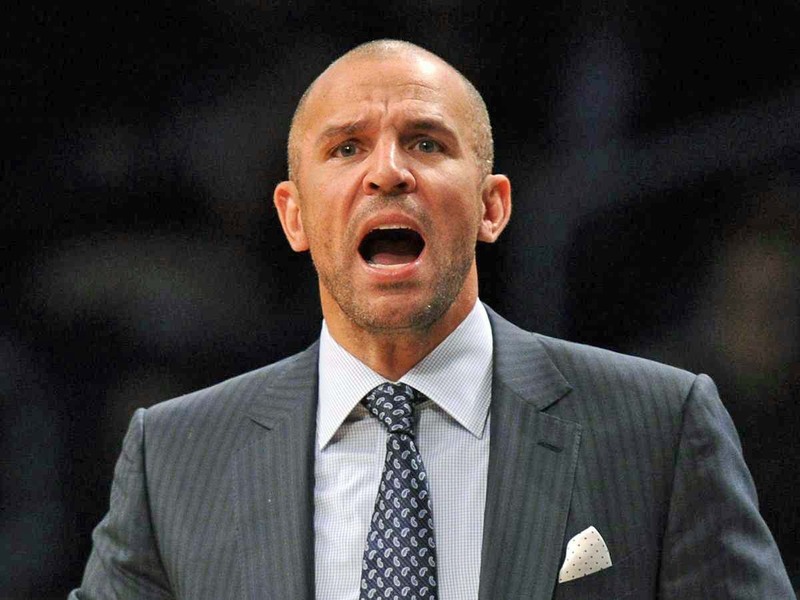 Milwaukee Bucks fans have been calling for Jason Kidd’s job for some time now. Today (Monday), the Bucks ownership group finally agreed, relieving Kidd of his coaching duties. The Bucks are 23-22 and currently the 8-seed in the Eastern Conference. They’ve dropped four of their last five games entering tonight’s home game against the Phoenix Suns. Bucks assistant coach Joe Prunty will serve as head coach for tonight’s game against the Phoenix Suns at the BMO Harris Bradley Center. 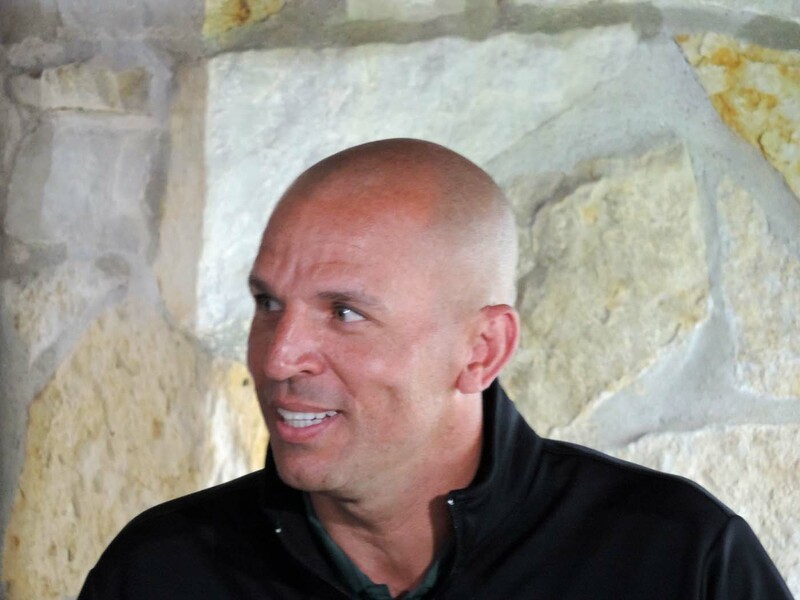 In Kidd’s three and a half seasons as head coach, the Bucks had a regular season record of 139-152 and reached the first round of the NBA Playoffs in the 2014-15 and 2016-17 seasons. According to reports, Milwaukee Bucks coach Jason Kidd is expected to return to the bench next week after the Bucks return from a four-game road trip. Kidd hopes to return to practice on Monday and be on the bench Tuesday night when the Bucks host the Orlando Magic. Kidd underwent right hip surgery back in New York back in December and Joe Prunty has taken over on an interim basis, going 8-7. The Bucks are 2-0 on their current four-game road trip with games at Houston on Friday and at New Orleans on Saturday. The Bucks are 19-25 on the season, trying to work their way back into the Eastern Conference playoff race. 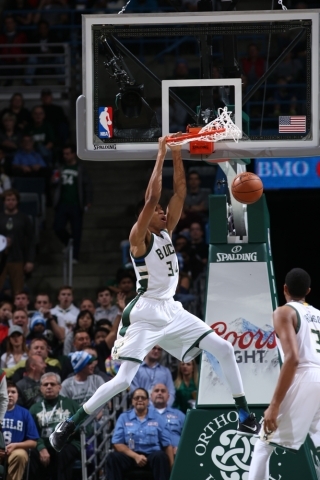 Giannis Antetokounmpo – Photo Courtesy of Milwaukee Bucks. The Milwaukee Bucks cruised to a 113-100 win over the Philadelphia 76ers, giving Joe Prunty his first win as interim head coach. The Bucks scored the games first ten points and led by as many as 25 points. Giannis Antetokoumpo had 22 points and Khris Middleton added 21 as the Milwaukee starters shot a sizzling 72-percent from field in winning their second straight game. Jahlil Okafor led Philly with 17 points and Milwaukee native Carl Landry added ten as the Sixers dropped their 12th in a row and fell to one-and-30 on the season. Philadelphia also turned it over 23 times, giving them 51 in their last two games. The Bucks are off until Saturday when they host the Toronto Raptors (4pm) at the BMO Harris Bradley Center.